Have a look around! If you cannot find what you're looking for, please let us know by clicking on the link below and filling out the form! Log into your Qualtrics Account! 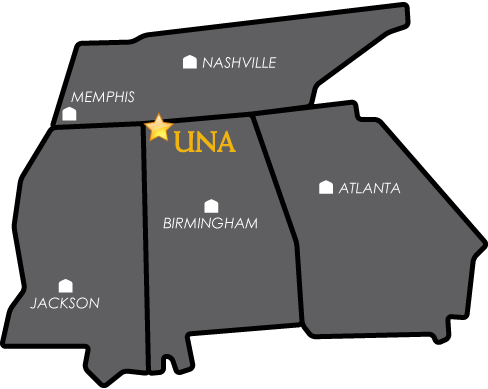 Remember to use your UNA portal credentials in order to log in. Good Data = Good Decisions! As the University of North Alabama's Office of Institutional Research, we work to provide research and data analysis that will allow internal and external requestors to make sound, thorough decisions that promote excellence in student learning, teaching, campus culture and institutional initiatives. For more information on our mission and core values, please visit our Mission page!